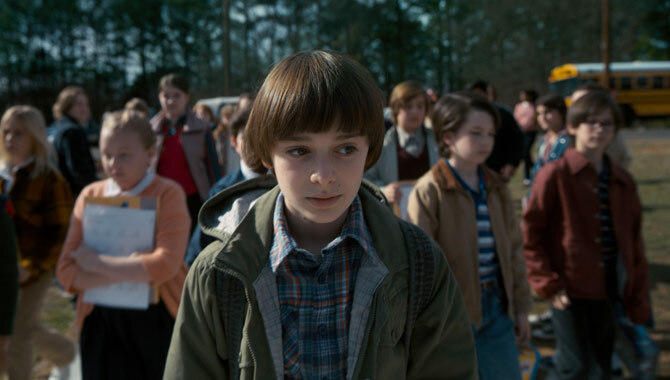 Probably the biggest question about the upcoming season is: what is happening to Noah Schnapp's character Will? Finn Wolfhard, who plays Mike, confesses that 'something happens to Will in the first couple of episodes that's very, very disturbing'. Sounds ominous. But how are his friends taking it? More returning cast members include Winona Ryder, David Harbour and Caleb McLaughlin, while Sean Astin, Paul Reiser, Brett Gelman and Will Chase join the show for the first time. 'Stranger Things' season two arrives on Netflix on October 31st 2017.